Many of us, have grown up in retail, looking at our business from a traditional hierarchy point of view. We analyzed our business by division, department, class, etc. It was a methodical and calculated approach that worked at the time. As my children tell me all the time, “this is not the 1900’s”. Long gone are days of looking at the company’s traditional hierarchy. We now live in a world with so many more interesting ways to view our business. As a result, we are adjusting our business to address the meaningful insights we are gathering. We want to learn more about how our customers are thinking and shopping. Plus, we want immediate insights into patterns and trends. This is where defined retail product attributes come in. 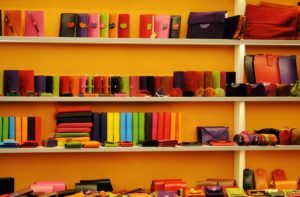 What are defined retail product attributes? The use of attributes in your business is often a “game changer” and gives you a huge advantage over your competition. Attributes have a quality or characteristic which identify a person, group or thing. In retail, attributes typically applies to Product and Location. Move to using attributes in your everyday business! Attributes will change the way you plan, analyze and run your business. Let’s review two attributes in detail. Key insights into colors trending higher or lower than last year (LY). Notice, black and white is trending up, while navy and red are significantly down. This suggests a potential shift on assortments and inventory positions. In the hierarchy view, it’s not possible to see which knit tops are doing better and worse. It’s valuable to watch trends on what the customer is shopping for. In this example, there is a purchasing shift toward more career products and less in the basics line. Take this a level deeper and use these attributes to identify specific location opportunities. Knowing this level of information allows the opportunity to adjust the selling floor, online presence and assortment offerings to better meet customer needs. There are so many opportunities to dig into the data beyond the product attribute level and explore how your customer is shopping. You can expand the analysis into attributes regarding store location such as: street/mall stores, square footage, open dates, design type, casual/career, metro/suburb, etc. This will allow you to easily specialize your assortment down to even lower levels. Attribute analysis uncovers so many business insights to help you maximize sales and profits! Learn more by downloading the eBook. Connie is responsible for helping her clients transform their business in order to optimize their technology investments. 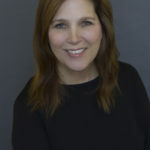 She has over 25 years of retail experience, across planning, analytics, buying, inventory, allocation, and operations.